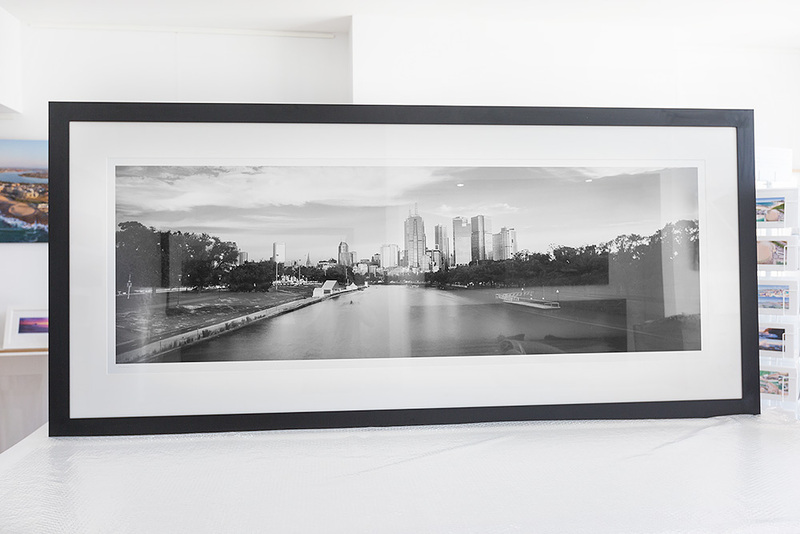 A 75 inch wide (190cm x 63cm) photo of Melbourne looking down the Yarra river. Printed on our Kodak Metallic paper, mounted to aluminium, acrylic from instead of glass to reduce weight and for safety. Packed and Shipped to Melbourne, Victoria.